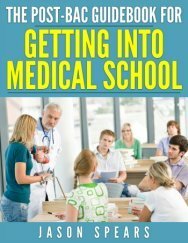 If I may, I'd like to pick your brain about my chances of acceptance from MD programs. Firstly, my MCAT score is only a 26S. Apparently, I did not prepare well enough; though I made a valiant effort, I obviously need to tweak my method. Despite this significant setback, the remainder of my application is very strong. I have a double major in biology and exercise science with a 3.93 GPA. I have extensive volunteer tutoring hours, 2 years of university lab teaching experience, 4 years of work experience in a physical therapy clinic, and shadowing experience with MDs in both orthopedic surgery and pediatric primary care. Resultant of my shadowing experiences, I have 4 physician letters of recommendation that are extremely strong. Similarly, my committee letter is very strong. In short, the only factor that seems to hinder my application is indeed the MCAT. With sub-par scores, do I even have a chance, or should I expect to be rejected from the MD programs? Should I apply to DO schools instead? Thanks so very much for your time and consideration during this unsettling time. It is much appreciated. Your 26 on the MCAT is going to put you below the national average for accepted students which currently averages approximately 31. With the brief background which you presented it doesn't appear as though you need to immediately forgo all the allopathic (MD) medical schools at this point. If all other aspects of your application are extremely strong you should have a chance somewhere. Although, without knowing where you attended undergrad it is hard to exactly place your GPA (hence why the MCAT bears so much weight because it is an apples to apples comparison of applicants). Because medical schools do consider the caliber of the institution you attended. 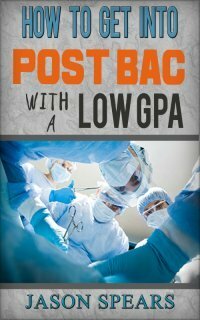 wrong with your initial MCAT prep and are prepared to put in the time and effort to raise your score. Improving by at least 2 to 3 points can really push your application higher. If you choose to retake you would simply write on your medical school application that a future sitting of the MCAT is going to take place and the medical schools will put your application on hold until they receive the updated score. If you already applied you need to contact the schools and let them know you will be retaking the MCAT. But you cannot have a decline in your score it must go up. In your case retaking seems like it would be a good idea because it does not appear as though there was a glaring deficiency that you will not be able to overcome. Specifically when applying to medical schools you will need to be very strategic about the schools you choose. You are in an uphill battle because medical school admission is extremely tough and you realize your numbers are not exactly where they should be. Obviously, no one can tell you where and where not to apply you have to use your own judgment but In-State schools are a great starting point along with institutions where your profile matches them i.e. extracurricular focus, research focus, or other commonalities that an admissions committee would look favorably upon. DO medical schools have a longer application cycle so you do not have to necessarily resort to them immediately. If it is December and no interview invitations then I would strongly encourage you to begin applying to the Doctor of Osteopathy medical schools. Although it is an unsettling time frame for you, there are lots of options available to you as outlined above to get you where you need to be. The path may not be as you had originally planned but if you put in the work, time and effort good things can still happen for you. Thanks so much for your speedy feedback. I attended Immaculata University in PA. It's a smaller school, so I'm not sure if that diminishes by 3.93 GPA. If I re-take the MCATs I'll only have a month to prepare as I begin teaching labs full time at the end of August. I honestly don't know if that amount of time can significantly increase my scores. I'm not afraid to work hard, but the time frame is a bit ominous. What would you do if you were in my position? Thanks again for your input. I am very grateful. You know yourself the best and what you're capable of in regards to what it is going to take to improve your MCAT score. I would not rush to make a decision because you have about 30 days where you can put in solid study time and the material should be relatively fresh. So you can just go with the score you have or buckle down and try to raise it. But if you do not think it is possible than be content with your score and see what the outcome will be with the admissions process. In short, no one can tell you what to do you can ultimately. I would probably study and see what happens because the worse case scenario is that you study for it and if you are not where you need to be in the next 30 days as evidenced by performance on practice tests you don't sit for the MCAT again and just use your current score.